1 2 3 4 5 Click to share your rating 8 ratings (4.6/5.0 average) Thanks for your vote! 26.83% of people buy Warhammer 40,000 Codex: Chaos Daemons and Warhammer 40,000 Datacards: Chaos Daemons. 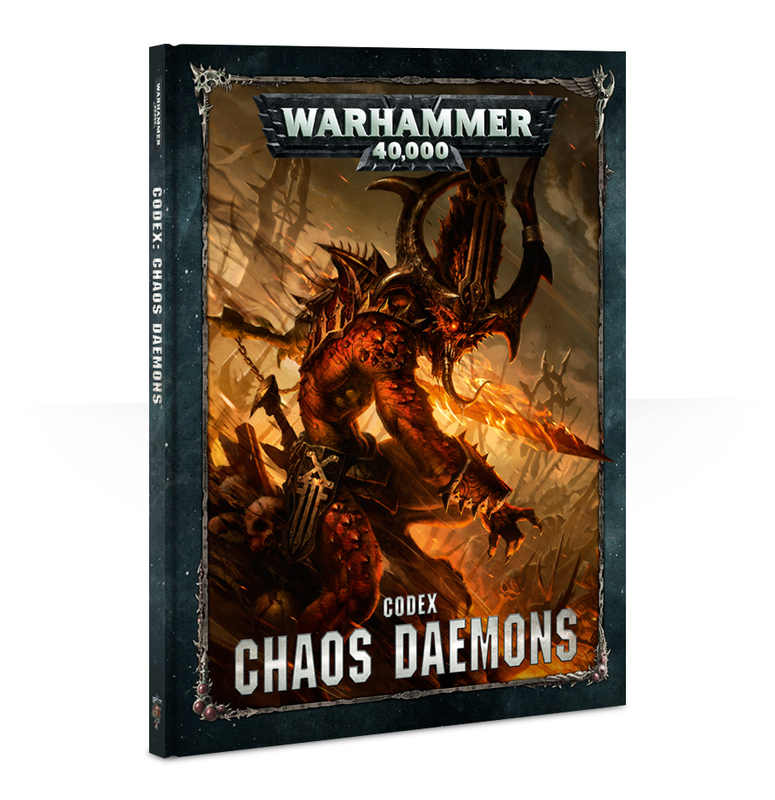 It's a interesting codex that unlocks a lot of potential for Chaos players. It might not make them a top tier army, but they're fun to play. Contains the background, history and origins of the Chaos Daemons. 50 datasheets, rules for all weapons, Daemonic Gifts, 24 Warlord Traits, 19 unique Stratagems, 21 psychic powers for Tzeentch, Nurgle and Slaanesh.